Headquartered in Texas, Xome is an innovative one-stop shop for Real Estate which digitally connects various people and touch points. 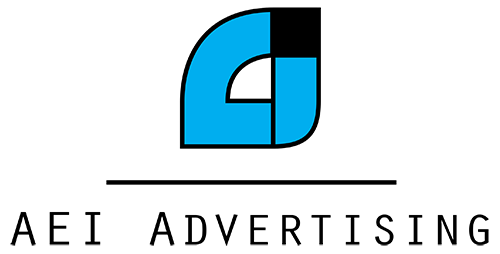 Xome utilizes technology online as well as a smartphone app to make the process of buying, selling and bidding on property more transparent for everyone. 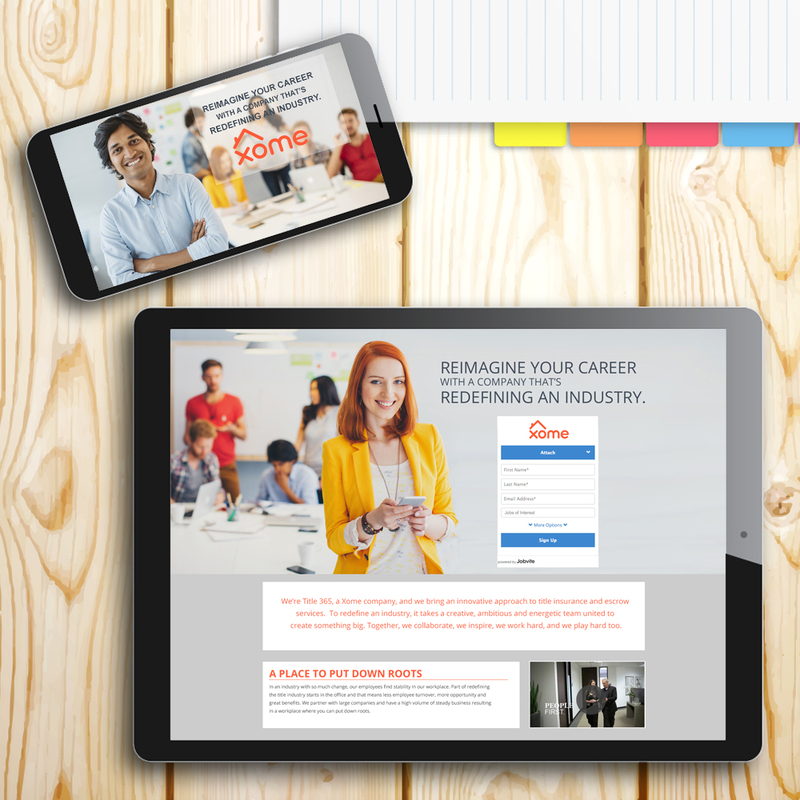 AEI Advertising worked with the company on a series of recruitment email campaigns as well as a career landing page. The goal was to attract qualified candidates to the title insurances and escrow side of the business – an area with a highly competitive recruitment landscape. 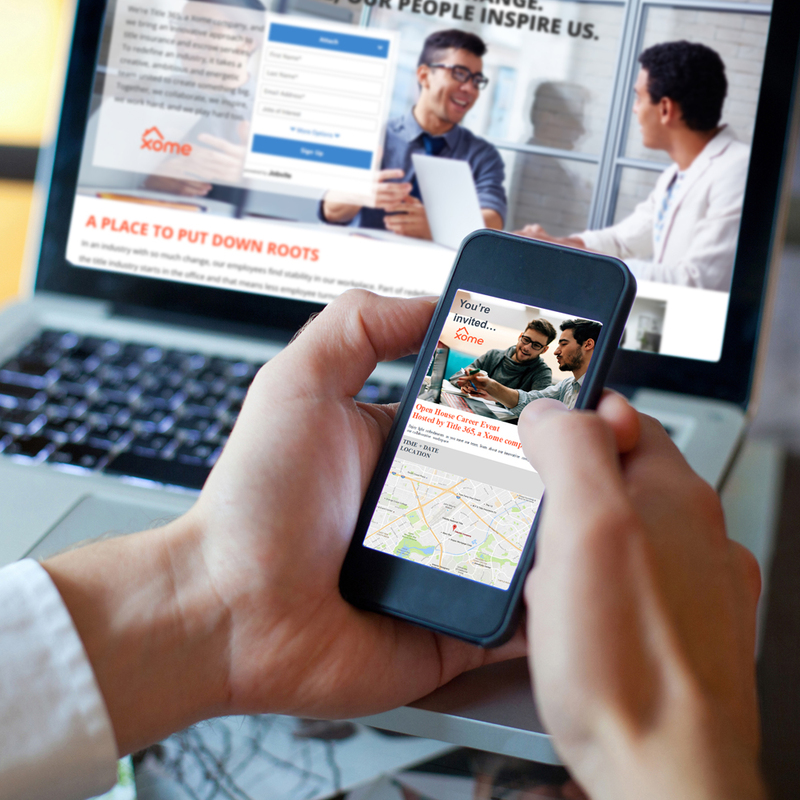 The campaigns utilized a fresh design and strategic messaging to reach job-seekers, direct them to the career landing page and convert them to applicants. 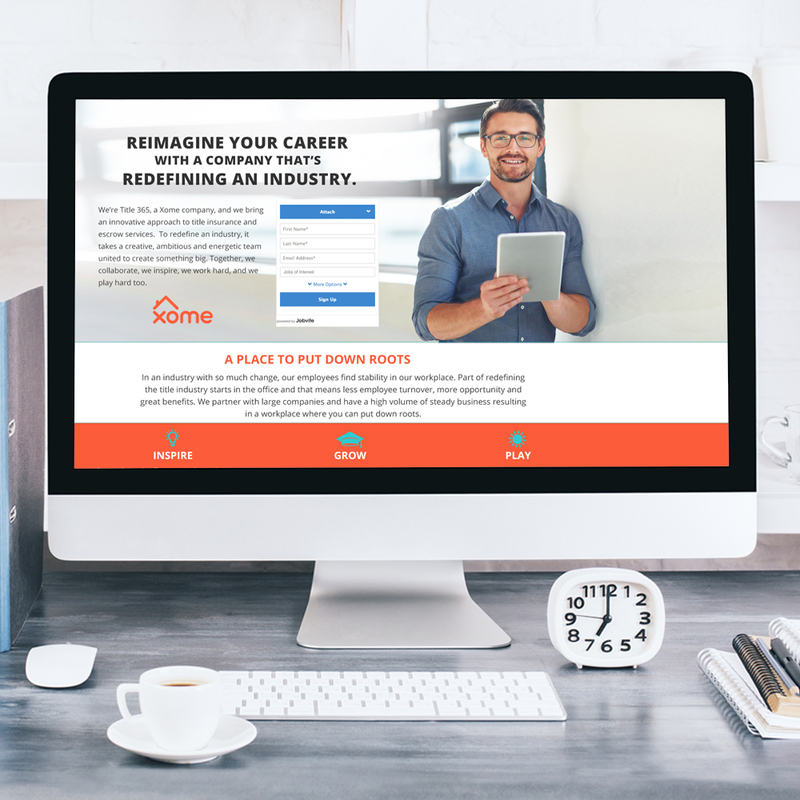 The final product not only resulted in more applicants, but also provided Xome with a career landing page where they could share videos, employee benefits and better engage with their prospective employees.